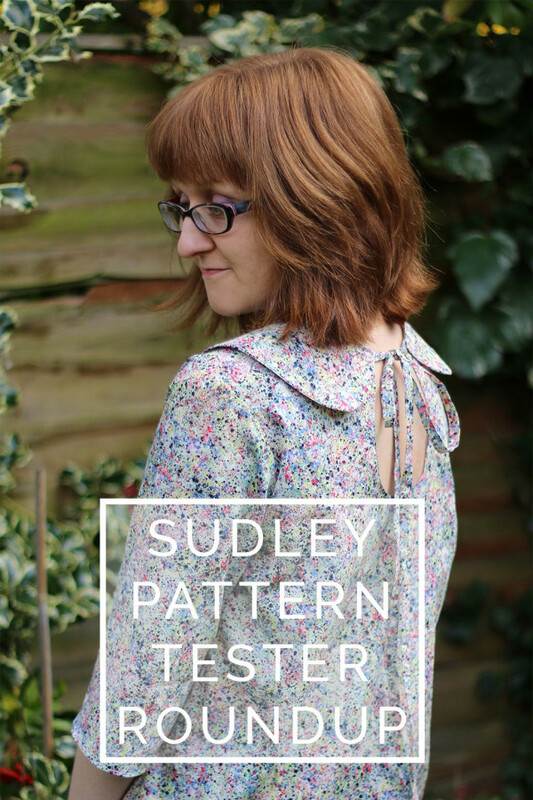 Pattern testing is such a huge part of making a great pattern, and I’m so grateful to all of the lovely ladies who tried out the Sudley pattern for us before release. Some of them have been kind enough to let us share there makes with you and give their thoughts on the pattern, and seriously, they made some awesome garments! Check out what they made below, and if you’ve got a few moments have a look at their blogs and IG, these babes are pretty great. The versatility. On top of blouse and dress versions to choose from there’s an added variety of design variations with the collar and keyhole. Love the key hole! Such a fun detail. 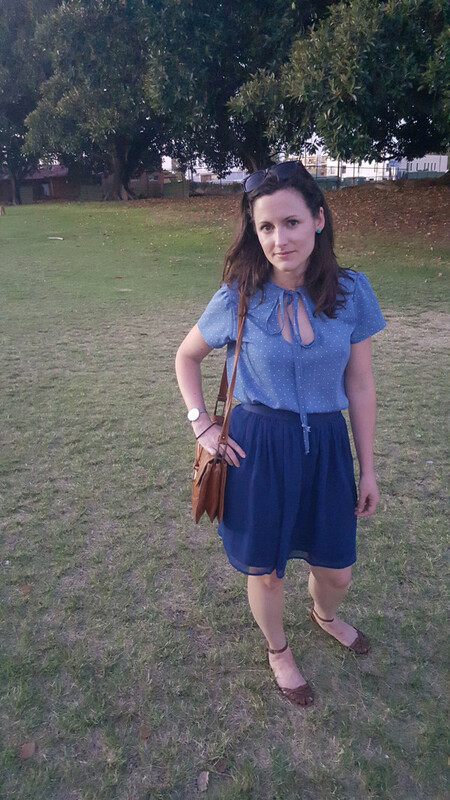 I love that it is something i can dress up and down. i don’t find too many patterns to fall within this camp. being able to reverse it gives it an edge, with version 2 specifically without the collar, and entirely different look when worn the other way round. I loved all the different ways the pattern could be made up. There are so many options for altering and personalizing! Even though this style isn’t one I would normally choose as-is, I have many ideas about how to make it something that is my style. I’d also like to make it out of a knit. The fact it can be worn two ways, is quick to make but with nice touches, and those neckties! Cute style, flowy aesthetic & multiple variations. I might make a top with a shorter skirt portion & mid sleeve. I also might try adding some elastic at the waist to cinch it in. 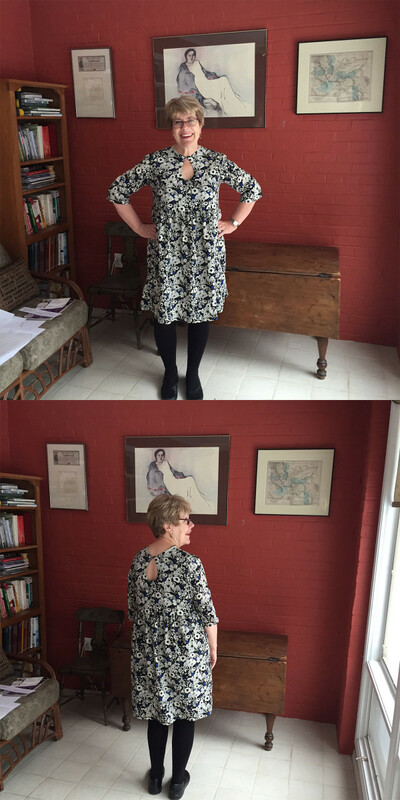 The length of the body and the sleeves on Version 1 are the perfect length for me. And I like the unexpected keyhole and tie in the back. 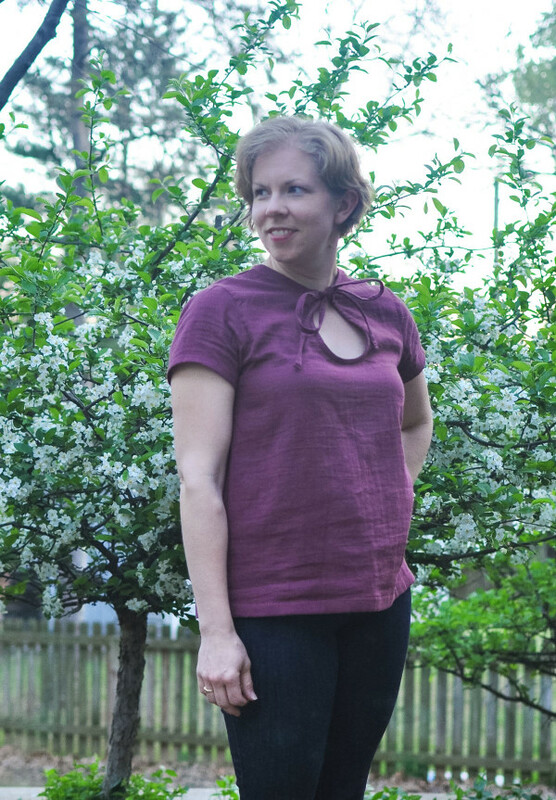 I made my Sudley in a very drapey fabric, which makes it feel kind of dressy, even though the fit is easy and comfortable. I think the elbow length sleeves are a little dressier too. 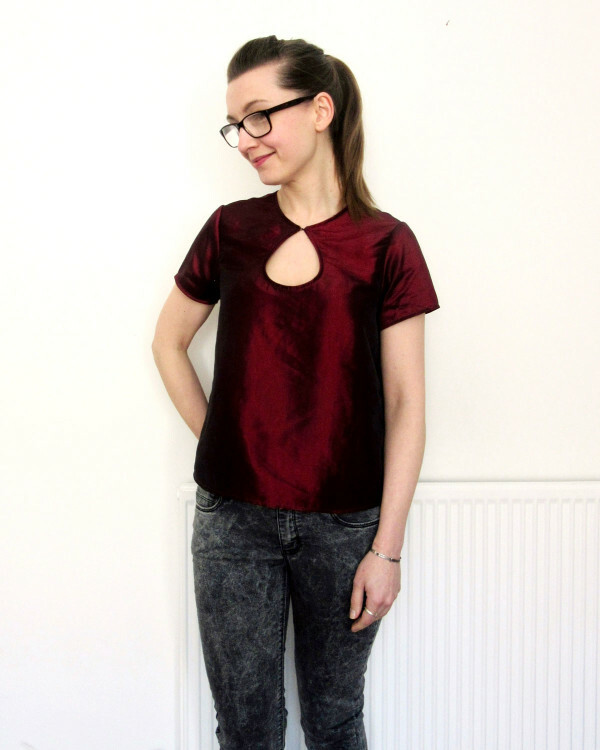 The fit through the shoulders and bust — I didn’t need any adjustments! i love the finished look. It’s a great fit and also that it’s reversible too. 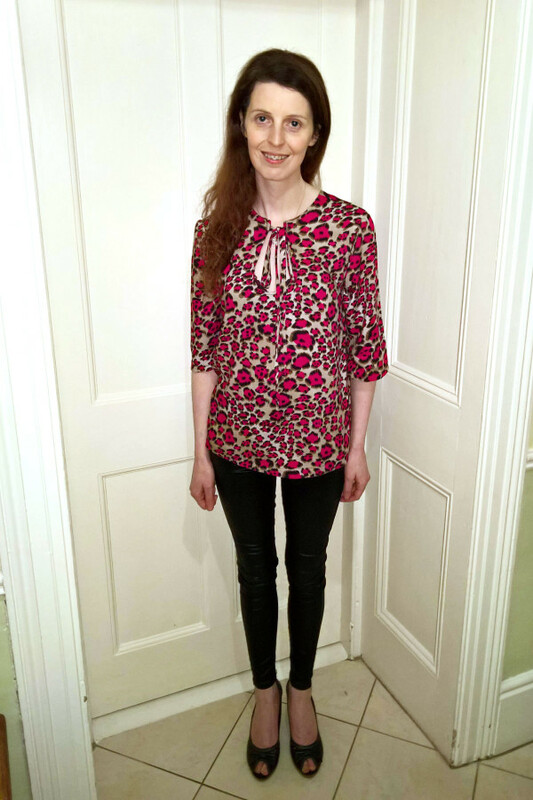 Such a cute, versatile blouse. 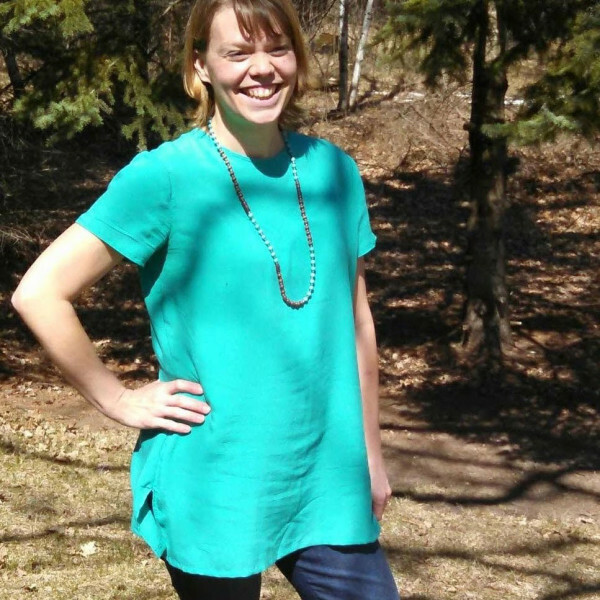 Perfect for work or basic day wear. Also, looks great as a layering piece. What about you?! 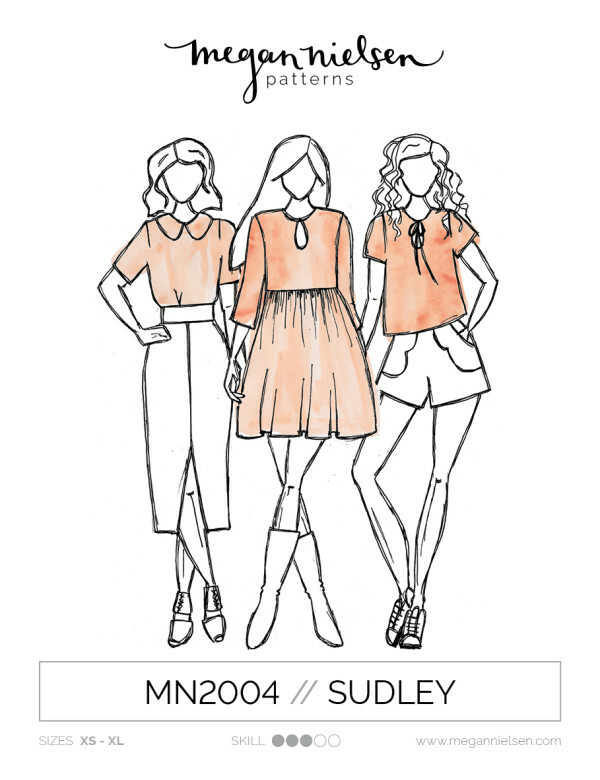 We’d love to see what you’re creating from the new Sudley pattern! 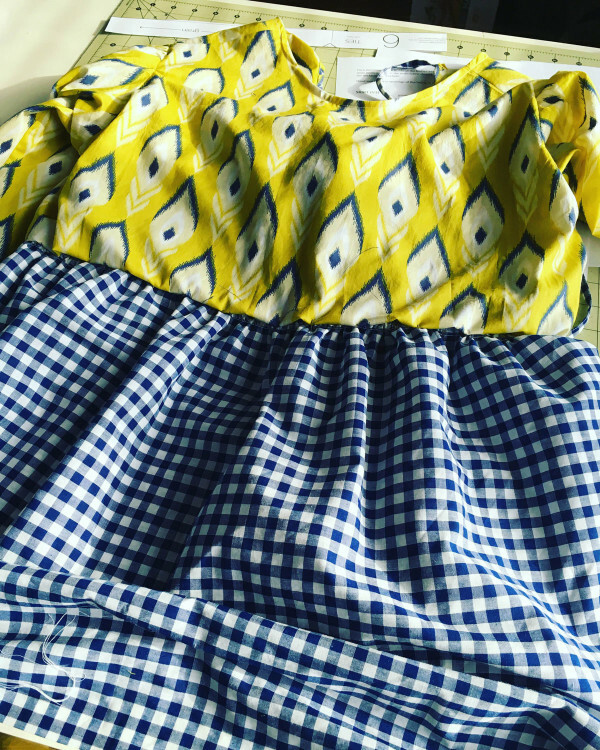 Don’t forget to tag your creations #MNsudley and @megannielsenpatterns to share what you’ve been working on, and check out what everyone else is up to! I love the tester round up! So much inspiration :) They all did so well.